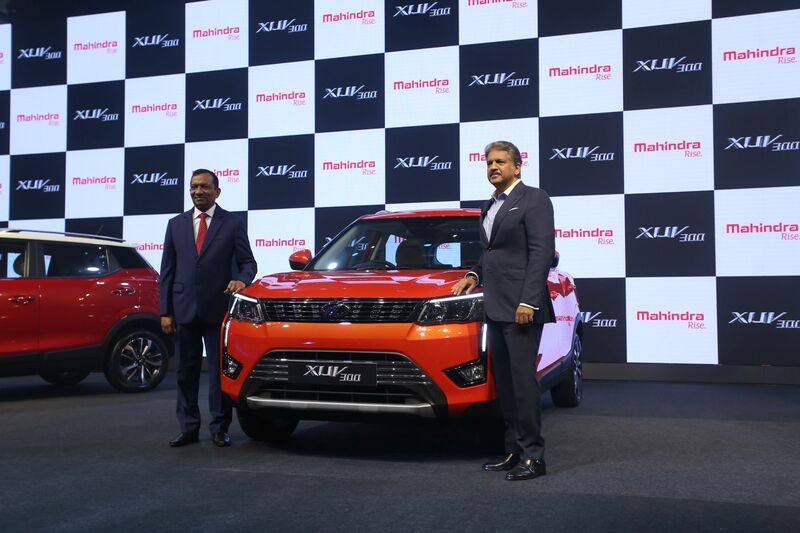 Mahindra & Mahindra has launched today its highly-anticipated new SUV, the Mahindra XUV300 in petrol and diesel engine options. This SUV has an ex-showroom starting price of Rs. 7.90 lac for the Petrol W4 variant and Rs. 8.49 lac for the Diesel W4 variant. The XUV300 comes in 3 variants W4, W6 and W8, and one optional pack on the W8 variant. It is available in 6 monotone colours & 2 dual tone colours: Red Rage, Aqua Marine, Sunburst Orange, Pearl White, Napoli Black, D-Sat Silver, Dual Tone White roof on Red Rage and Aqua Marine (only on W8 optional pack). The XUV300 has cheetah-inspired design and boasts of best-in-segment safety features, first-in-segment hi-tech features and class-defining interiors. 4. First-in-segment Smart Steering System: 3 steering modes allow you to customise the steering effort to suit your driving requirements. 5. Electronic stability program with Dynamic Steering Torque, Hydraulic Brake Assist, Roll-over Mitigation and Traction Control. Hill Start Assist. The XUV300 allows you to adjust the air temperature to create separate, customised environments for the driver and front passenger. It has aggressive front grille, chiselled body and imposing stance. Comes with projector headlamps and striking LED Daytime Running Lamps. This SUV has spacious cabin, with Best-in-Segment width of 1,821mm, Longest-in-Segment wheelbase of 2,600mm and a flat floor can comfortably seat 3 passengers in the 2nd row.